Having a video production background, I am always looking for great, easy way to create videos for personal projects as well as for students to demonstrate their work. I know you’re asking yourself, Bryan has video production background too, on top of all the other stuff he does? Yes, I actually do, and even taught college courses on it! When first starting out in ed tech, I owned a video production company called Mobile Media Productions where I was hired by clients to create videos of weddings, commercials, and even live events for major conferences. I started off in college with a passion in video production and specifically special effects design. I then was asked to teach other college students my talents, which allowed me to actually teach a college course as a TA, with my boss at the time being my sponsor teacher. I was able to use my skills to teach others how to design awesome special effects such as light sabers, time freezing and walking through frozen environments, and simple things such as lower thirds and animations. It’s absolutely incredible how easy all of this has become through the years, which is why I am always looking for ways to create highly effective designs with the simplest procedures. Students are looking to do the same. They have incredible ideas on paper, but when it comes time to execution, they often find at times it is too difficult and opt for something easier. With the advancements in technology, software and resources, students can still have that amazing idea and find the right tool to help execute it. Monica Burns talks all about this in her current book, Tasks Before Apps, which I highly suggest checking out. The task here is the students designing a video, so it leads to creative processes such as storyboarding and script writing, and then leads to setting up an ideal environment for filming, and learning about sound and camera angles. Finally, it leads to the right app. There are plenty of great video production apps that are out there, and great websites too, to take your video and edit the filmed product. The part that I always have difficulty with was the teleprompter and camera, and where to look and how to make it look right because I was always staring off to one side and not looking at the camera. That led me to investing in teleprompter hardware where I could slide my camera or phone behind it, so I was looking directly at the camera. These cumbersome setups didn’t make it easy for me, and when trying to execute the same setup with students, it just let to further difficulty and frustration on both ends. 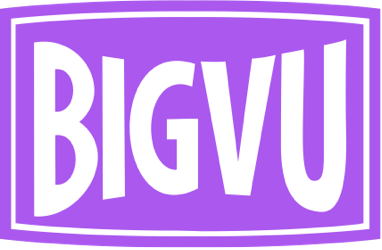 I found a new app, called BigVu which takes care of this struggle [teleprompter], AND gives you amazing video editing features to make your video look like it was professional produced. Using this app and web combo, you can create video that allows for lower thirds, green screen backgrounds, video overlay, logos, etc. The best part is the simplicity and cost! Let’s discuss cost first, because this is always the first part schools worry about. The cost is $50 per year! Yup! That’s it. You create an account, log in to the app and website and you’re now connected between the two! This is amazing, because I can now have a professional video setup, for such a little cost for hardware which would include of a tablet or phone, a computer to edit online, and maybe a tripod to hold the camera. If you’re looking for an amazing hardware solution to hold your device and even add microphones, lenses, etc, check out Padcaster! But, overall cost is low and that makes it doable for any classroom or any school newsroom. Okay, next is process. Your phone or tablet acts as the camera. On the device you can type in your script to scroll across the screen, or you an create it through the website and transfer it so it appears on the device. Either way, your script will scroll over your camera’s live feed which allows you to read, directly look at the camera, and see how your picture looks in selfie view. Problem that I have been having is now solved! In this mode you can create multiple takes, and then export the one you like the best. When you’re done recording, you export the video to the cloud, which then magically appears in the web console. From here, the video automagically creates poster views of your video to make it super easy to edit, and place in special items such as lower thirds, logos, titles, backgrounds, etc. You can even go in and add video or still images if shot in front of a green screen. Finally, one of my favorite things is the ability to edit audio and remove any background noise. This is such a huge help for a classroom and it does a pretty decent job! I can just imagine all of the time saved for students using an app like this, especially since we make so many great book reviews, or news casts in classrooms. Since this has everything packed into it, this may be worth the little investment for your classroom! 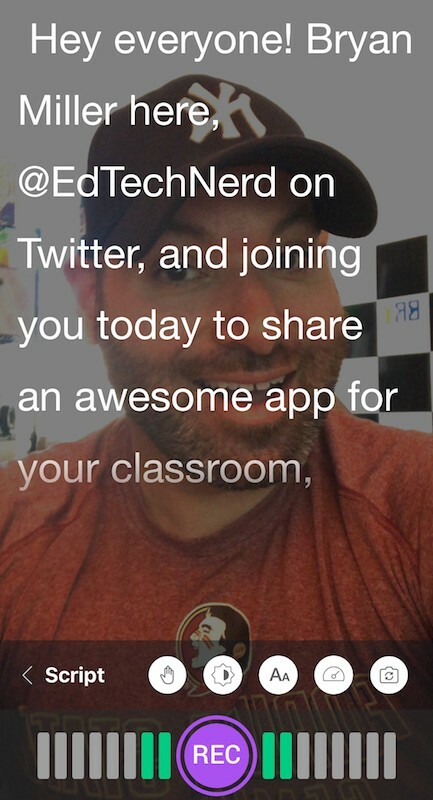 Enjoy creating, and do share with me what you have created uses BigVu by sharing on social media and tagging me, @EdTechNerd, in it! Want a great worksheet that you can use to have your students design their storyboard for their next BigVu created video? Click below to download it for your use! Want to download a great storyboard worksheet for your students? Fill out the form and click download to receive it for yourself! I'd like to receive the free storyboard worksheet!